Today I will be sharing my Wishtrend haul with you guys. 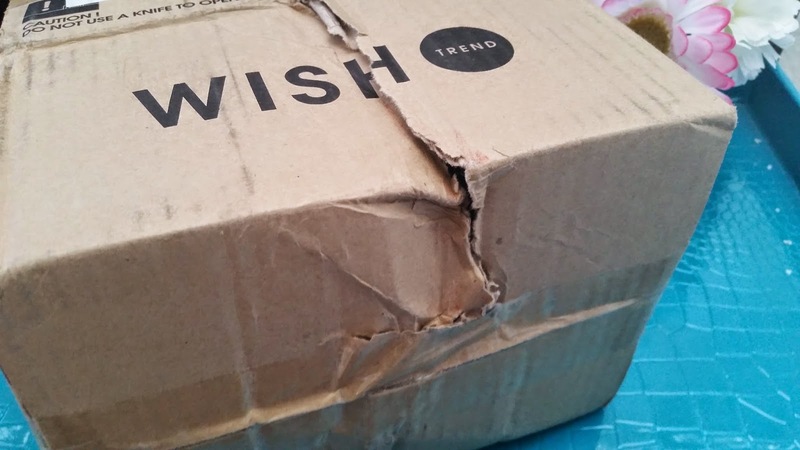 Wishtrend is an online Korean beauty website I discovered last year. I wrote about it not too long ago because I'm totally loving this shop. They carry some of the best and hard to find beauty products from Korea and I have gotten quite a few favorites from them. When they came out with the special At Home Acne Scar Treatment bundle, I purchased it right away. I mean, it's a $100 value for only $55. Plus the products included are top notch and I've been looking for products that can lighten my acne marks. Along side the bundle I've also gotten quite a few samples to try and also a unique gift as well. Read on to see what goodies I got in my haul! I have 3 big fears with shopping internationally. The first would be if my package got lost. 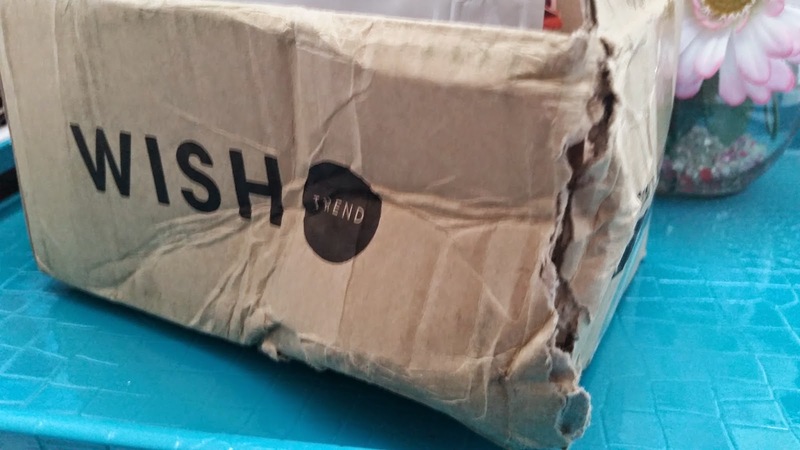 This has happened before and although the company eventually sent me a new set for free, some of the products I originally ordered were out of stock, so I couldn't get it anymore. I was refunded the money, but I was still sad because I didn't receive what I purchased. The second would be damaged goods. Whenever I receive a package that looks like the pictures above and below, my first thought would be 'did anything break'? I mean with boxes that looks like they have taken a beaten, you'd think you would open up to see shattered glass and broken containers. Finally, the third fear would be bugs. Although, I've yet to experience this, and I hope I never will (*knocks on wood*), I still fear for it sometimes. Especially after reading someone else's story about bugs in their shipment. So why do I still order internationally even though any of the above 3 could occur? Because I love my beauty goods from abroad and am willing to take the chance, even if I get a mini panic attack some times. Anyways, this box had me scared when I saw it. It was ripped on the side and bottom. It looked like someone hit it with a baseball bat and stomped on it. It looked bad and man was I scared to see what it would look like when I opened it. After I carefully opened the box, I found the products nicely bubble wrapped, still I was scared because let's be honest, this box looks like it's on its last dying breath. When I finished unwrapping the bubble wraps and examined the products individually, I was shocked. THEY ALL SURVIVED. It was the biggest relief and I was seriously happy. The bubble wraps save them and I want to thank Wishtrend for going through and wrapping the products nicely. Otherwise, well, let's not think about otherwise. Product Description: A wonderful facial toner that balances the skin's pH level and improves the effectiveness of other skin care products in your entire skin care regime. This toner is formulated with various plant extracts such as aloe leaf extract, Althaea Rosea flower extract, Centella Asiatica extract, Glycyrrhiza Glabra (Licorice) root extract, and so much more. This toner will remove excess sebum after cleansing and preps your skin for other skin care product applications. This toner also have anti-inflammatory properties which can help reduce redness of the skin, calm irritation, and reduce acne pimples. 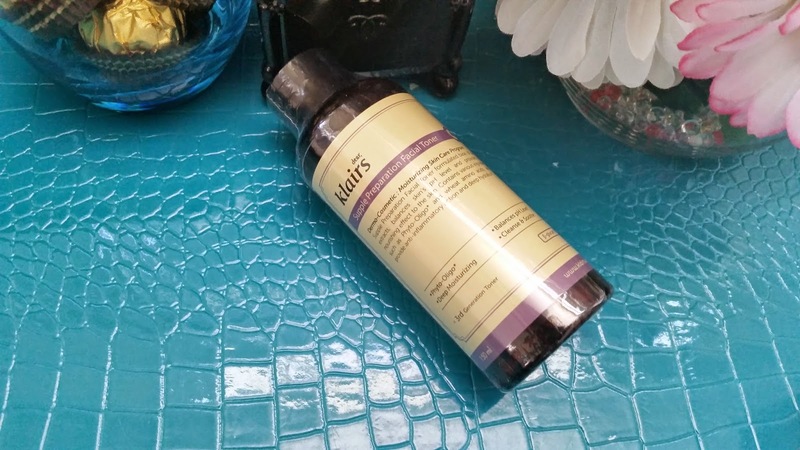 My Thoughts: I have heard great things about Klairs products and I already love their masks, so I have a feeling I would like this toner too. Having sensitive skin means that I am always careful with what I apply to my skin because the smallest mishap could spell big disasters. This product doesn't seem to have any issues for my skin, ingredients wise, although I just started to patch test it. Will take a couple of days to see how well it would do on my skin. The product claims to help reduce redness, and I hope it will because I do have redness on my face. I am looking forward to testing this product out! Product Description: This Vitamin Tree Water-Gel uses 72.39% of pure Vitamin Leaf tea. It can help to calm the skin, hydrate it, brighten/whiten the skin, and also provide an abundance of vitamins to it. Vitamin leaves are grown from the Vitamin tree located in the Taebaek Mountains. The leaves contains Vitamin C, various amino acids, proteins and much more. This water-gel also contains Vitamin Berries as well as Snow Lotus, Cloudberry, and Rose of Jericho which can help add nutrition and vitamins to the skin and strengthen it as well. This product also contains witch hazel extract, aloe leaf water and other herbal extracts. My Thoughts: I bought this bundle because of this product. The I'm From brand is so popular right now, particularly due to their Honey masks but also their other products as well. 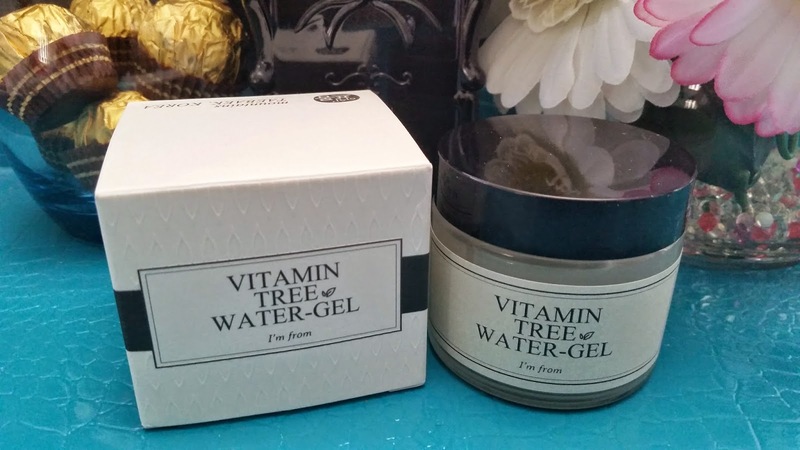 This water-gel includes so many amazing ingredients, I was eager to try it after my research. I will start to patch test this product soon. I did try the consistency of this product and it is watery gel like. It's opaque looking but pretty much colorless. There also doesn't seem to be any scent to it as well, at least none I could pick up. I like how light yet moisturizing this water-gel is and it feels great on my the back of my hand. Will test it! It's also very fast absorbing and not sticky or oily either. Can't wait to use it full on with these other products in the bundle! Product Description: A blemish control cream for acne prone skin. Formulated with natural ingredients and designed to calm the skin and reduce acne scars/marks. It can also help relieve irritated skin. This cream is non-oily, hydrating and almost an ointment like cream. To use, prep the skin with toner and serum after cleansing. Take an appropriate amount and apply it onto acne prone areas, blemishes, and dry areas. Spread out evenly. It can be used as a day/night cream. 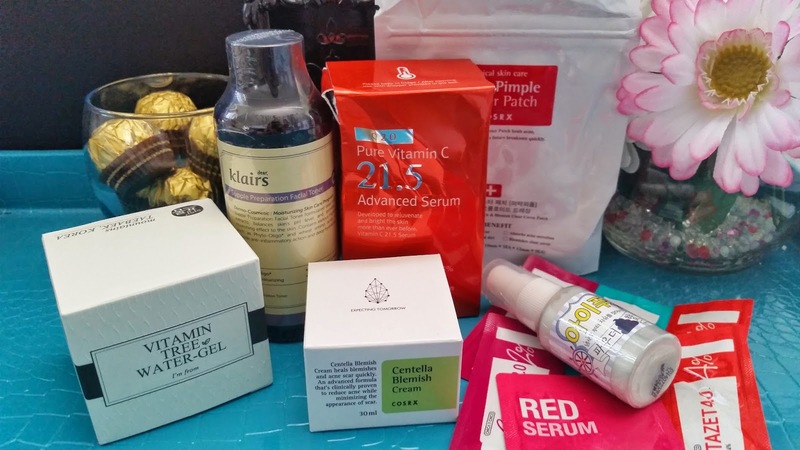 My Thoughts: Cosrx is a great brand and I've been wanting to try some products from them. I will start to patch test this product soon. 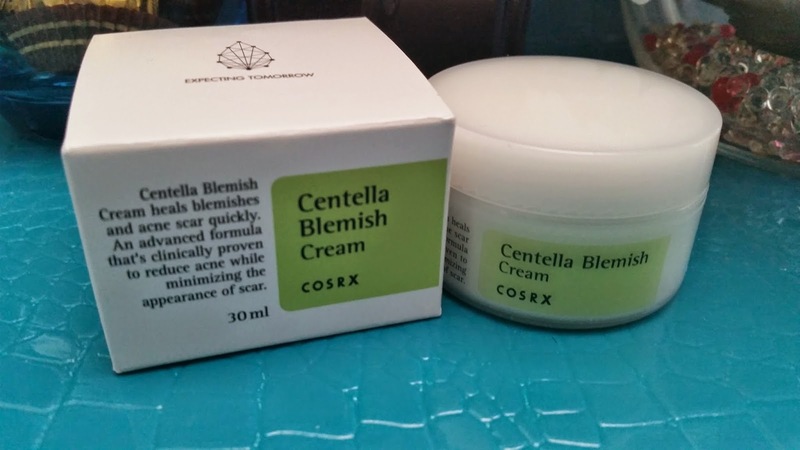 A little goes a long way with this blemish cream, so although it might seem small at only 30g, I have a feeling it will last for quite a while. Hopefully, I can start using all of these products soon. I will review all of these products individually, so look out for my reviews on them. Product Description: A Vitamin C serum with an advanced formula that can condition the skin, help the skin to restore balance, hydrate and replenish the skin, and help the skin retain its moisture. This serum is formulated with 21.5% of pure Vitamin C. The formula is non-sticky and absorbs fast. It is also paraben free. The C21.5 Advanced serum can brighten the skin, decrease skin pigmentation and blemishes, help even out skin tones and discoloration, rejuvenate and nourish the skin, and hydrate it as well. After cleansing, prep the skin with toner. Take 1-2 drops of the serum on hand and apply it evenly to the face. If used during day time, make sure to wear sunscreen! My thoughts: This product was raved by a lot of beauty bloggers and I have kind of been wanting to try it. I say kind of because I already have a lot of serums on hand, so I wasn't looking for a new one in particular. Still since this one came with the bundle, I have been patch testing it. 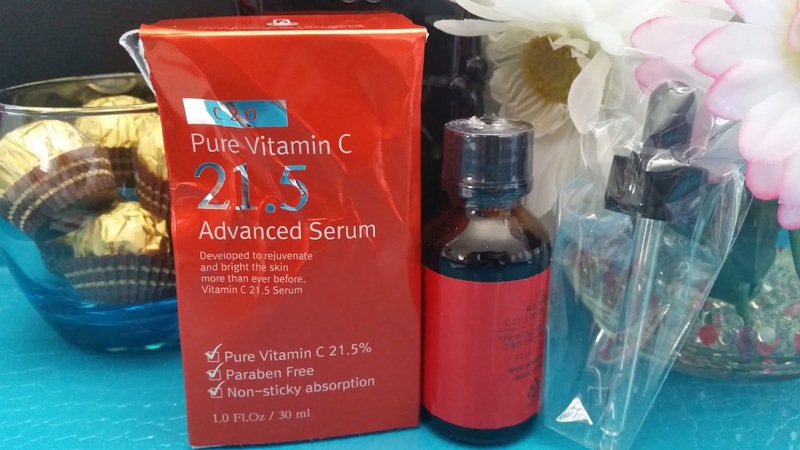 This serum only has 10 ingredients and it is supposed to be an upgrade of its predecessor, the C20. I have high hopes for it and hope that it won't let me down. 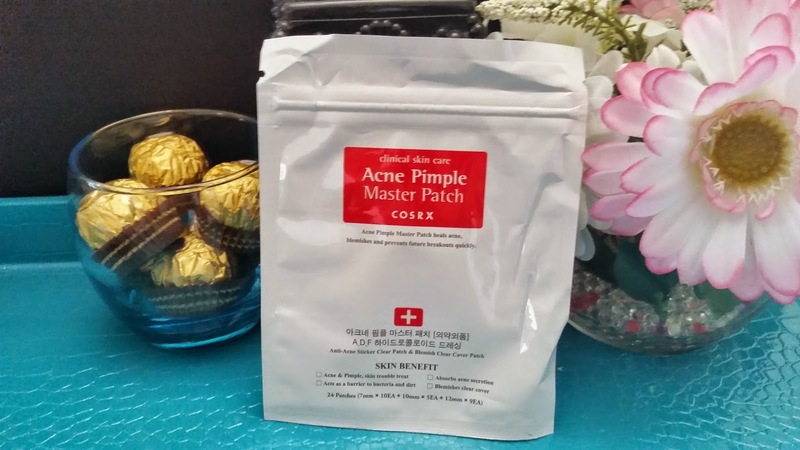 Product Description: These acne pimple patches are Hydrocolloid patches that prevent secondary infections while healing. They can help heal popped and unpopped acne simply by placing the patches on top. The patches come in various sizes so it can be used on all acne and pimples. To use, wash and dry the area and do not use any lotion or other products. Take the right sized patch and place it on top. As the patch absorbs the exudates, it will turn white. Once the patch is white, it can be removed. My Thoughts: I have tried acne patches in the past, although not from this brand. The patches I tried were pretty much useless against acne and pimples, so I hope I will have better luck with this one. I will report back on whether this is worth it or not. Freebies and gifts, who doesn't like them? As always, I got a good amount of freebies from Wishtrend. I also used their March coupon code for a free gift, a very interesting gift at that. Let's start with the samples! I've gotten both types of samples before, although I've yet to try either. 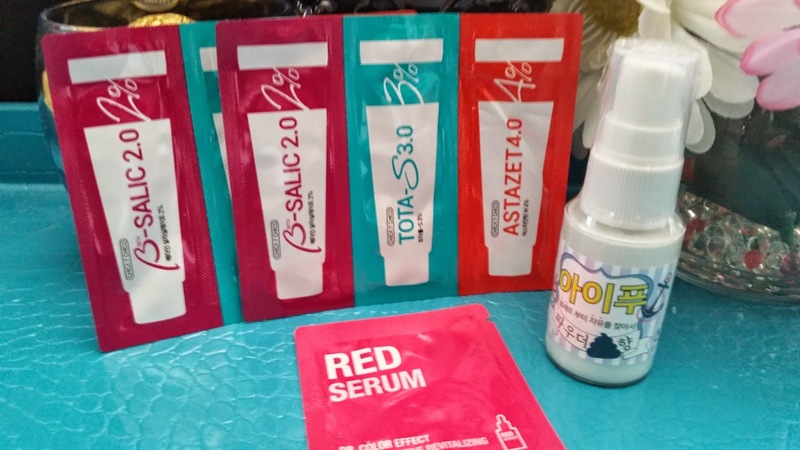 A friend of mine really likes the Red Serum and she recommends it, so I will have to try it soon. As for the Chica Y Chico samples, I am not only new to these sample products, but also new to the Chica Y Chico brand. I did some research on the samples and here's what I found. The Astazet 4.0 seems to be a cream that can lighten acne marks and dark spots. The B-Salic 2.0 is an overnight cream that can exfoliate the skin and help clear out blackheads. A cream cleanser must to used in the morning to clean off the B-Salic or else it might have negative effects. The Tota-S 3.0 is a cream to calm the skin and fight against acne. I am excited to try this trio to see if it really works as advertised. Finally, March's free gift. It's unique, different, and not expected. It's called IPOO Smell Cover Oil. Yup, you read right. The brand's name is IPOO, lol. Like its name says, it's pretty much an odor covering toilet spray. Simply spray this before you poop and it not only covers the stinky poop smell but also have antibacterial effects and is safe for the human body. The scent I got is Baby Powder. I haven't decided on what I am going to do with this product but I got it because I was curious. I do believe there's a Westen brand that makes something similar called Poo-Pourri. I remember seeing it while on Youtube. I might try this free gift and I might not, but if I do, I will definitely report back here. Alright Dreamers and Creators, that's it for this haul post. Now it's time for some coupon codes! WISHAPR2015: 10% off purchases over $55. Cannot be combined with any other discounts or coupons. WISHGIFTAPR2015: 1 Full size ElishaCoy Vitamin Collagen Mask Sheet! Disclaimer: These products were purchased by us with our own money, all opinions are honest and our own.